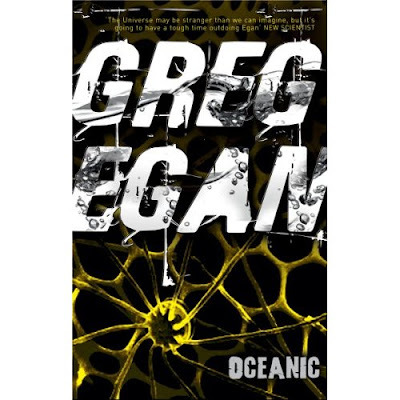 Greg Egan is well known for his high-concept stories that extrapolate the future of humanity to extremes of biology, technology and time. His ability to wield maths and physics as literary tools is unparalleled. In the collection ‘Oceanic’ he demonstrates both of these attributes while continuing to create interesting characters who help us to comprehend the incomprehensible. Twelve stories previously published in ‘Asimov’s’ and ‘Interzone’ among others make up this sturdy volume.